– All course applications must be made via an official enrolment form or via our official BTST Academy website. – All deposits paid at time of booking to secure future course dates are non-refundable. – If a payment plan, or instalment option is created, I understand that I am therefore bound to adhere to the agreed payment schedule and all course fees must be paid in full no later than 7days prior to the course. Failure to do so may result in being removed from the course and no refunds will be given. – Where possible all course material will be posted prior to the course start date, if you are unavailable when course materials are delivered to the address provided and they are not collected from the local depot, an additional distribution fee may be charged. Charges for all course material delivered within the UK are included within the course price. – BTST Academy reserves the right to remove from any course at any time, students that fail to comply with its standard practices, procedures and Student Code of Conduct. BTST Academy also reserves the right to refuse enrolments, or suggest alternative arrangements, if we believe it will not be in the best interest of the company, other participants or the individual concerned to attend a course. – I understand that each course has a minimum course attendance rate of 80% failure to meet the minimum attendance required will result in being removed from the course. Upon such circumstances the next course will be offered at 50% of the cost. – As a BTST Academy student when attending course and assessment dates, I understand that I am bound to adhere to the hired venues terms and conditions. – If in the case I am not successful on my first attempt of a theory paper or practical exam, Re-sit fees of £20 per theory paper and £40 per practical observation will be charged. 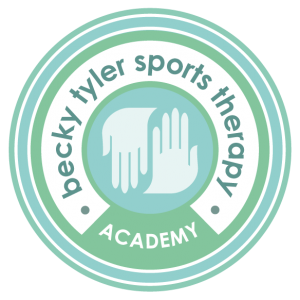 – On the rare occasion, it may be necessary for BTST Academy to change or cancel course and assessment dates, change content or venue location and alter prices from those published. BTST Academy will not be held liable for any costs/losses incurred because of any such changes. In the event a course is cancelled or you are unable to attend because of these changes a full refund will be issued. – BTST Academy understand that occasionally, due to unforeseen circumstances, applicants may have to alter their arrangements. In these cases every effort will be made to accommodate the change although there may be delays in enrolling students onto alternative courses. In such circumstances any fees paid will be transferred to the alternative course. In the case of cancellations not accompanied by an alternative booking, a refund of fees paid, less a 20% administration charge, will only be made if the cancellation is received no later than 28 days before the start of the course. N.B. No refunds will be given for changes or cancellations made with less than 28 days notice.